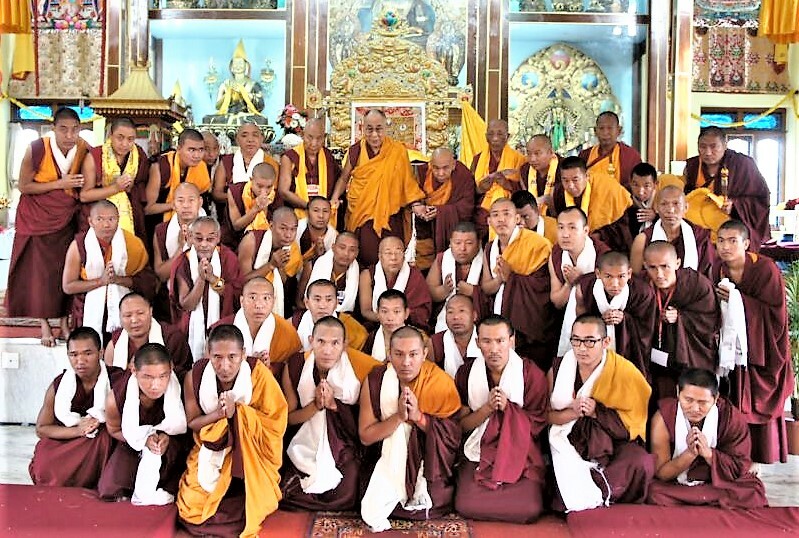 While major part of our students hailed from economically and socially vulnerable families from Himalayan Regions, such as, Monpa from Tawang, Nepal and a few from Tibetan region of Tsum. Nearly 200 deserving children studying in our school are the future custodians of the great cultural legacy and the religious tradition of Dzongkar Choede Monastery. Therefore, they have a great responsibility and scope of service and contribution in their’s future life. We profusely appreciate and thank you for your continued sponsorship and support to our monk students in the school. Due to increased number of children under our care of which most do not have the benefit and support from the sponsors, due to which the limited resource of the school is greatly strained causing us more concern. We request our brothers and sisters for your kind sponsorship support to cover more number of kids in our school and also to help us tie the cost of new library project, Teachers Salary, text book and the school maintenance. FOR FOREIGN DONORS OUR MONASTERY ADDRESS AND BANK ACCOUNT DETAILS. FOR OUR LOCAL DONORS, BELOW ARE THE BANK DETAILS.